Government schools have for a long time had to combat the stigma of being considered second-class when compared to their private counterparts. The public has an image of government schools being overcrowded, shabby, under-equipped and poorly funded. To a large extent, this stereotype holds true in many parts of the country. Would parents take their students out of private schools so as to get them admitted in government schools? For anyone familiar with India’s education landscape, this will seem unlikely. But this is exactly what has been happening with Sarvodaya Co-Ed Senior Secondary School in Delhi’s Rohini Sector 21. Since its inception on April 1, 2017, Sarvodaya has propelled the parents of over 900 students to opt out of private schools and get their children admitted in the government school instead. With a student strength of 1,200, Sarvodaya boasts of modern, well-developed infrastructure of the same calibre as any of the nearby private schools, if not better. As such, the students in the school feel no different that they did in their previous, private schools. 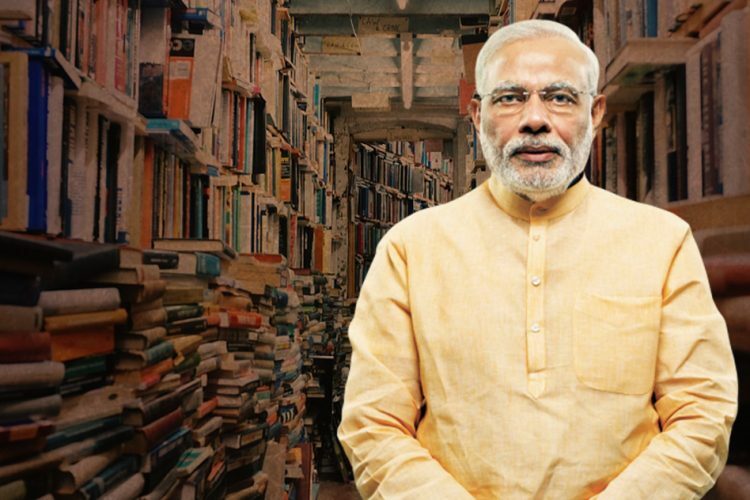 Add to the more affordable fees, there is little surprise that Sarvodaya – and other government educational institutes across the country – are emerging on par with their private counterparts. So what about Sarvodaya Co-Ed Senior Secondary School is so attractive? 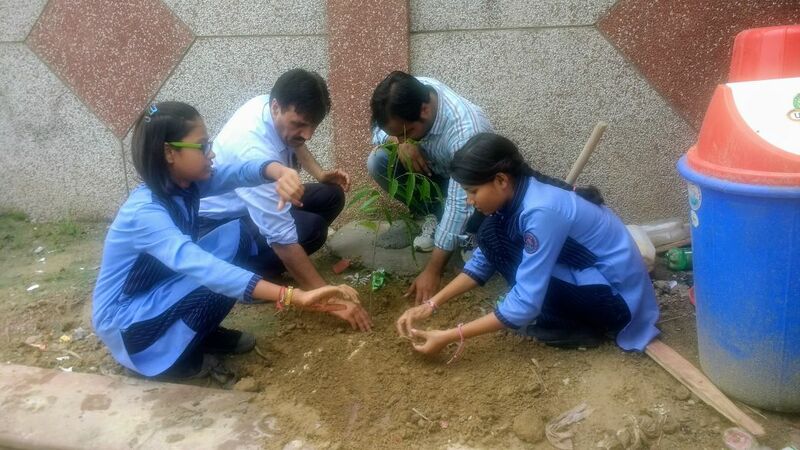 The Logical Indian spoke with Dr Sukhbir Singh Yadav, the school’s Vice Principal, to understand this. 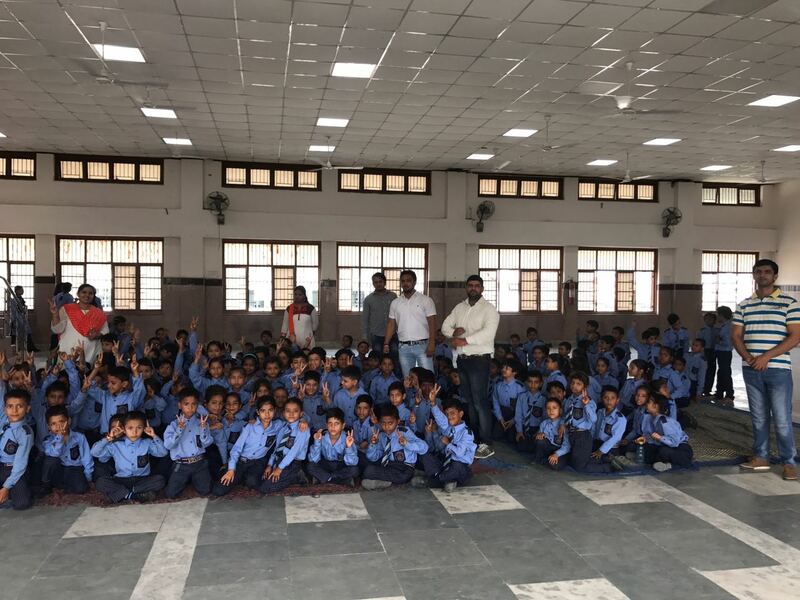 The government school has 69 rooms, 44 of which are classrooms and the rest of which are miscellaneous rooms, including math lab, computer lab, yoga lab, chemistry lab, music room, activity room, medical room etc. 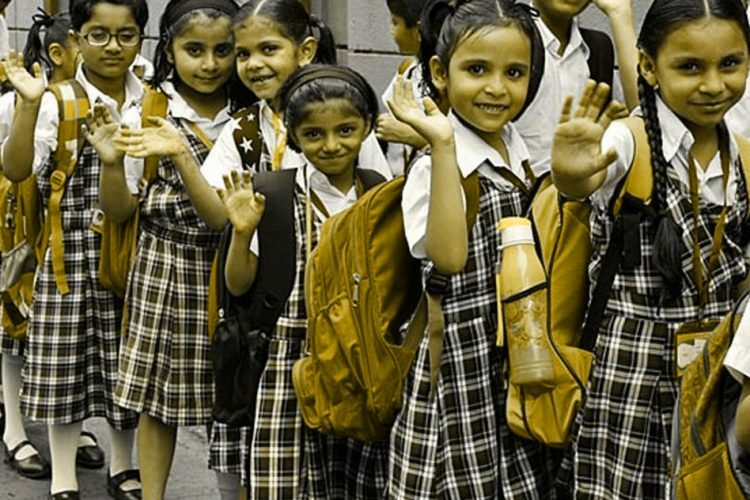 Sarvodaya caters to students from Nursery to Class 12 and has a student population of 1,200. The number of teachers is 38, 24 of whom are regular, the rest being either guest teachers of contract teachers. 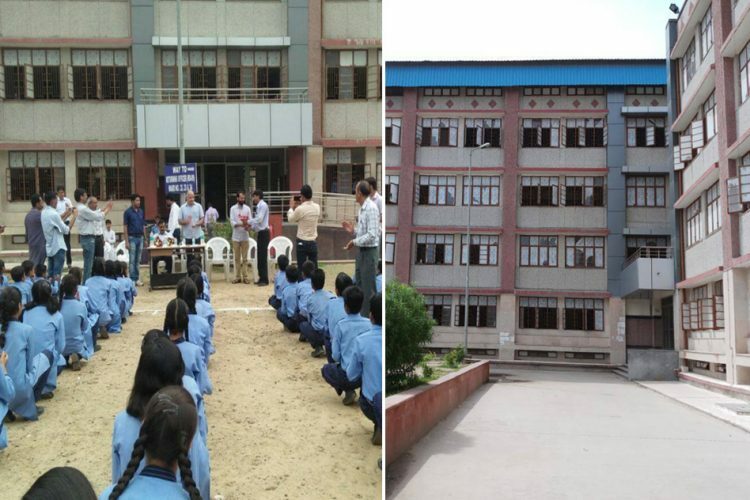 Vice Principal Yadav admitted that the school was slightly strapped of manpower and would look to increasing the number of staff members in the near future. But despite this, the school is faring admirably. 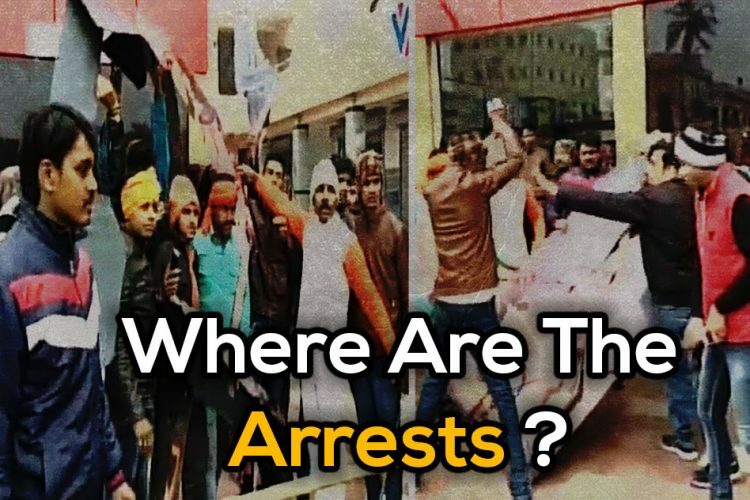 99% students in Class 11 are reportedly those who left private schools where they were paying fee of Rs 1,000-3,000 per month. Now with the school all set to expand its infrastructure and student strength, Sarvodaya’s success story will only continue. 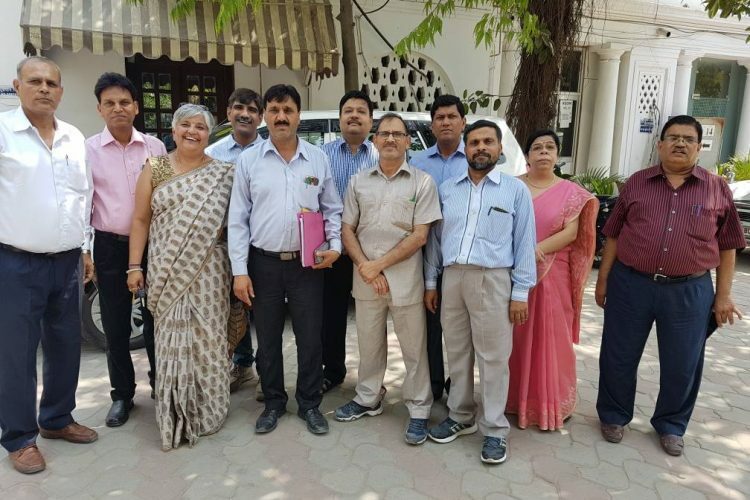 Vice Principal Yadav in the centre (carrying the file). 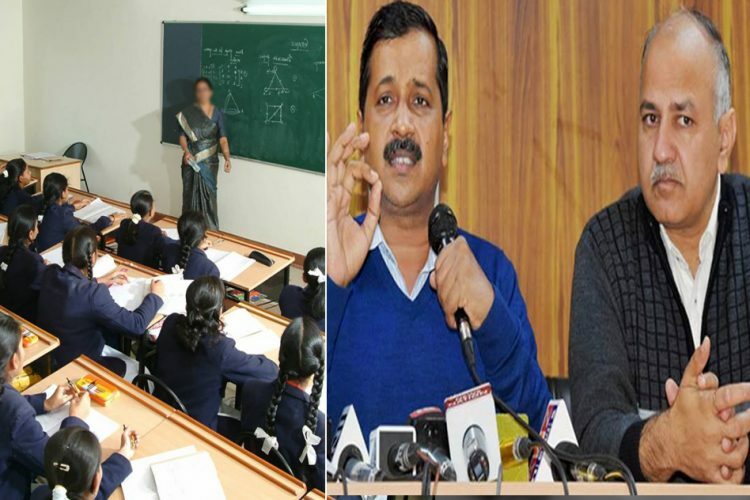 The Logical Indian community applauds the success of Delhi’s Sarvodaya Co-Ed Senior Secondary School and the government’s efforts in revamping government schools in the country’s capital. We hope more such success stories emerge and inspire change in all of India’s government schools so that they reach the level of private schools in all aspects, if not better. 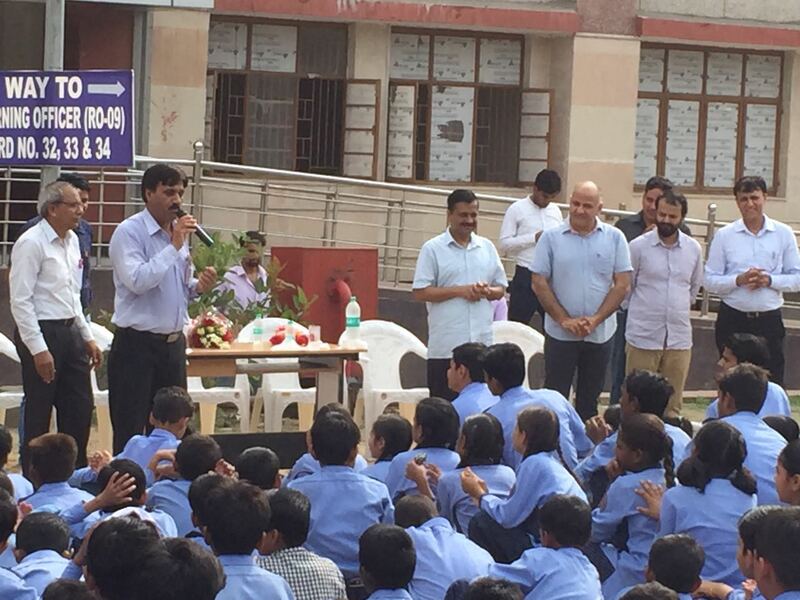 Delhi CM Arvind Kejriwal and Manish Sisodia paid the school a visit to commemorate its achievement. 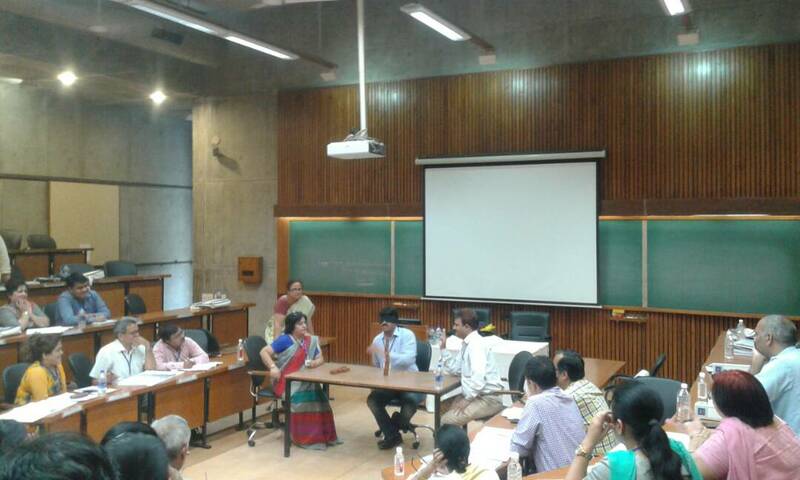 Conducting an activity with Deputy Director Shashi Bala Saini of IIM Ahmedabad.